In 1914, three eleven-year-old girls buried a box in a thicket on the coast of England, shortly before World War I sent their lives on divergent paths. Nearly fifty years later, a series of mysteriously-worded classified ads brings the women reluctantly together again. Dinah has grown from a chubby, bossy girl to a beautiful, eccentric widow. The clever, reticent Clare has blossomed into an imperious entrepreneur of independent means. And Sheila—who was once the pretty princess of her small universe—has weathered disappointed aspirations to become a chic and glossily correct housewife. As these radically different women confront one another and their shared secrets, the hard-won complacencies of their present selves are irrevocably shattered. In a novel as subtle and compelling as a mystery, Elizabeth Bowen explores the buried revelations—and the dangers—that attend the summoning up of childhood and the long-concealed scars of the past. Elizabeth Bowen was born in Dublin in 1899, the only child of an Irish lawyer and landowner. 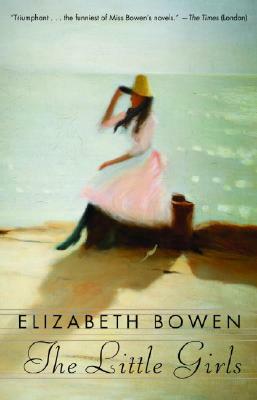 Her book Bowen's Court (1942) is the history of her family and their house, in County Cork. Throughout her life, she divided her time between London and Bowen's Court, which she inherited. She wrote many acclaimed novels and short story collections, was awarded the CBE in 1948, and was made a Companion of Literature by the Royal Society of Literature in 1965. She died in 1973.